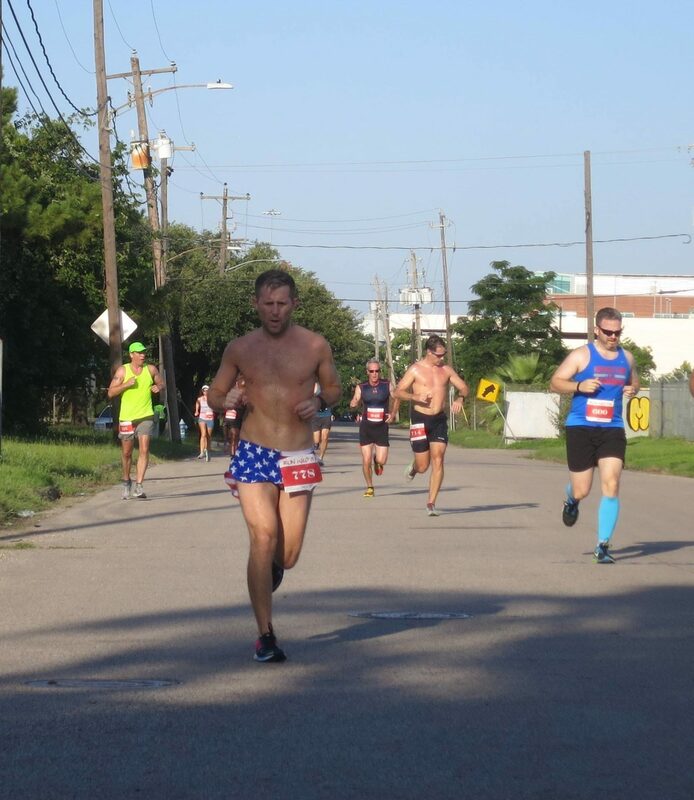 Holidays are a great excuse to get in a good local race and so members of 7run3 ignoring any forecast for a heat advisory competed in the Run Wild 5K. 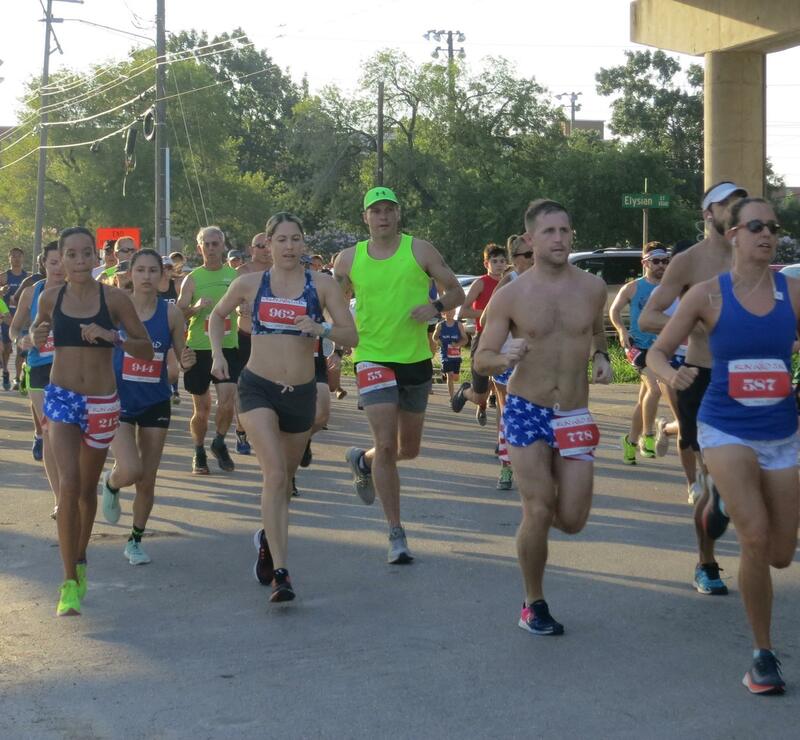 One of many local races put on through out the city on the 4th of July is hosted by our friends the Runner's High Club and benefits the Special Olympics. 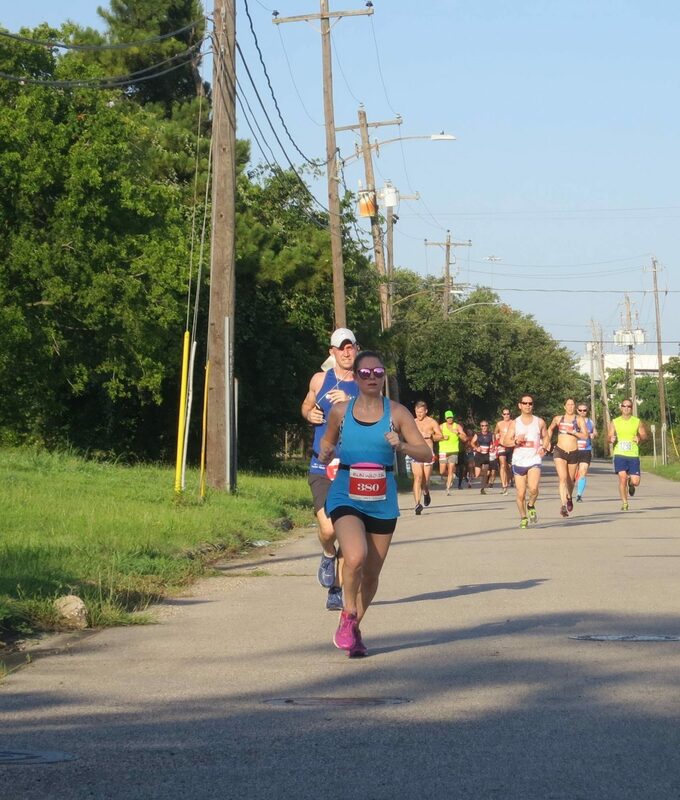 The course is an easy out and back through a few side streets on the edge of town originating at the Saint Arnold's Brewery to a small section of the White Oak Bayou Greenway Trail for the turn around. 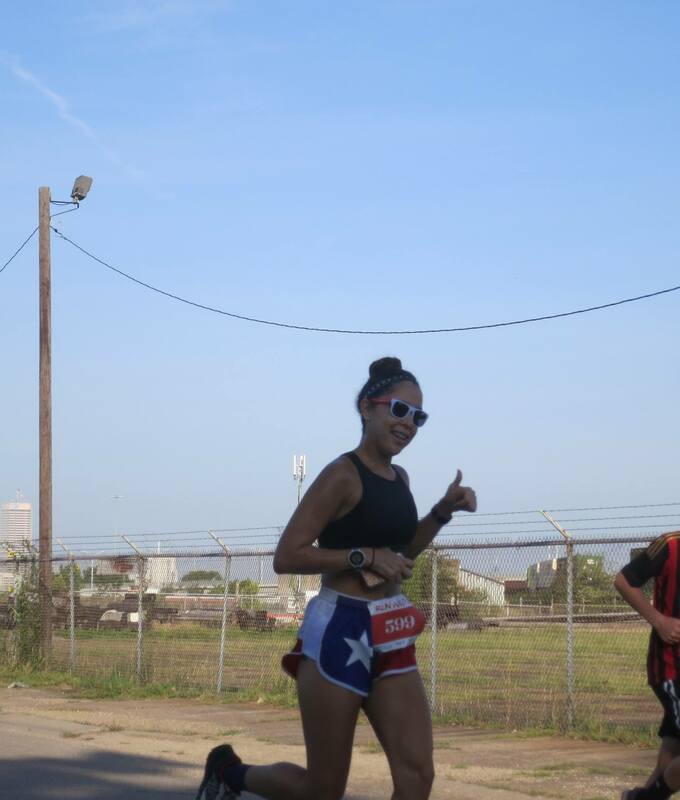 Above: Fresh off their debut trail adventure at Capt'n Karl's Pedernales falls 30K last weekend, Eric Raap and Erika Dawkins embraced the spirit of the race by showing their American pride with some stellar star spangled flag shorts. 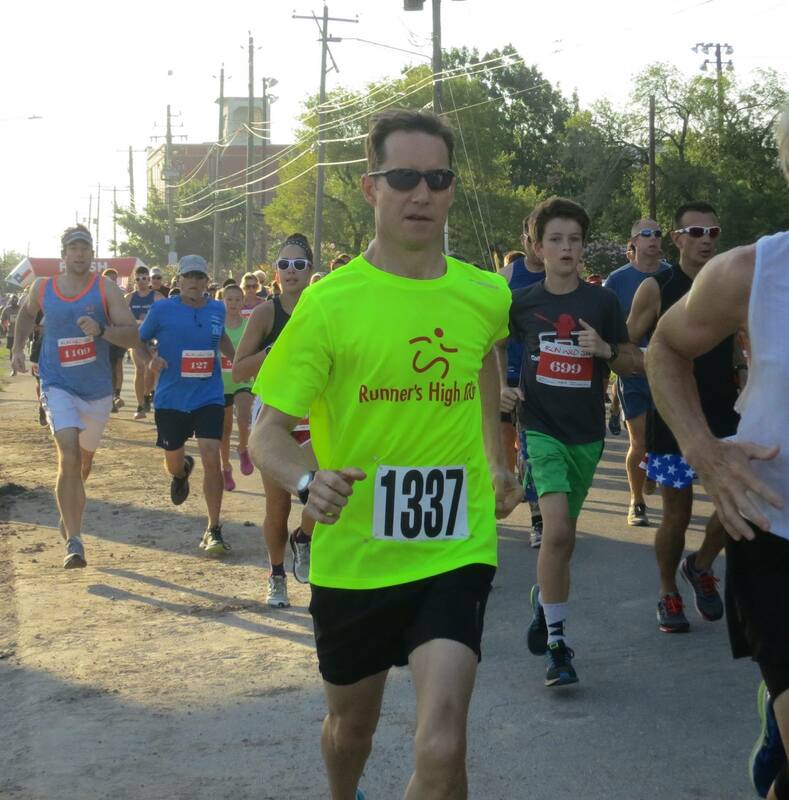 Above: Tom Flanagan showing some support for the Houston running community and area running clubs. Above: Heat is just a number for Daisy Marchena as she sprints home for the finish. Above: Ashley Gray sprinting for the finish. 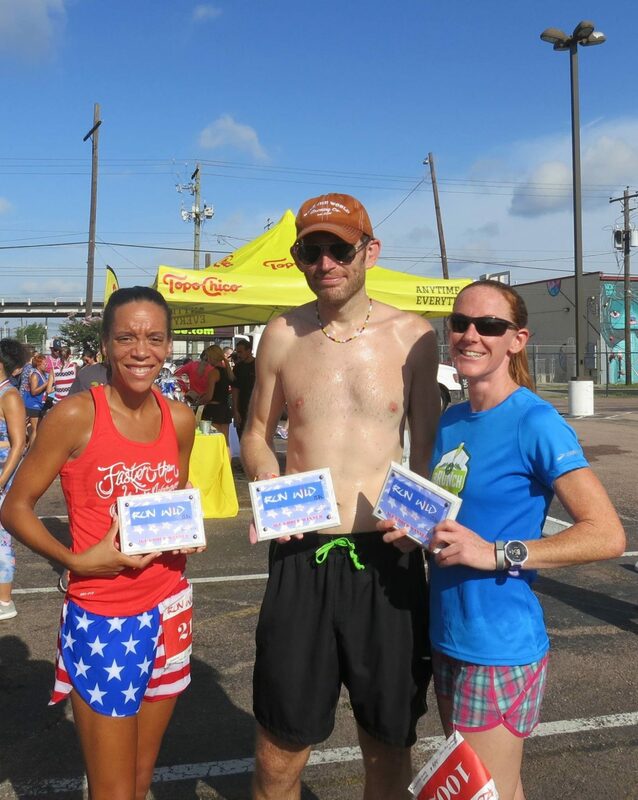 Erika Dawkins and Victoria Webster demonstrate the patented proper podium winning side pose while Steve Maliszewski prefers the goofy grin approach. Thank you to all the members who came out to cheer, support or divert their long run to lend a hand during the event. Finally one final shout out to #ericsquads. They truly deserve their own hashtag and cheering section.  ← Polish Pickle 5K – Run a 5K, Win a Cow…or Some Pickles!! !